Professor Kancha Ilaiah says the Hindu ban on beef is a cultural imposition by past and present political leaders. 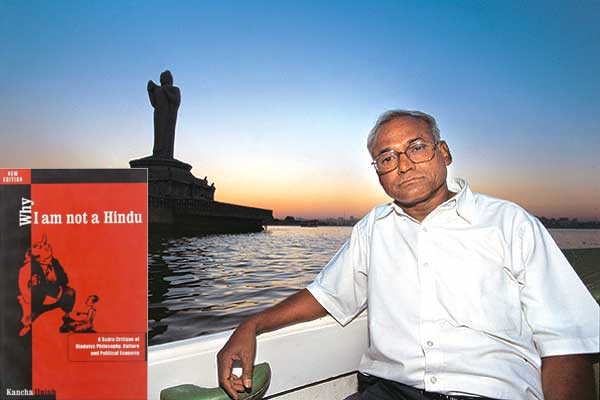 Prof. Kancha Ilaiah wrote a bestseller entitled, Why I Am Not a Hindu. Ilaiah delves into the underlying origins of the meaning behind the ban imposed on the slaughtering of cattle in some of the Indian states. Today he is the director of the Centre for the Study of Social Exclusion and Inclusive Policy at Maulana Azad National Urdu University. When asked if the beef banning was a cultural imposition on particular sections of Muslims, Hindus, and Christians, Ilaiah replied that he believes it is definitely so. He claims that specifically on the indigenous groups like Dalits and tribals. Ilaiah claims that historically all Indian groups ate beef in the Vedic as well as the post-Vedic period. Gautam Buddha revolted against the tradition because the priestly class was consuming a large amount of beef. Buddha requested that people not kill cows as sacrifices, and not to kill any more than what they need to consume. From that point in time up to modern times, most of the untouchables would sustain themselves with beef in the summer, whenever there was a major scarcity of food. They would even consume diseased and/or dead cattle. The only full-stomach food given in the summer time in some Dalit villages was either dead or sick cattle. They were never given millet, rice or any other regular food, and the situation still continues today. For Muslims, meat has always been both religiously as well as historically accepted as food. But not all Muslims were poverty-stricken like the Dalits were. They have always had other sources of food. He also says that Christians and Muslims are not the only beef-eaters in India. 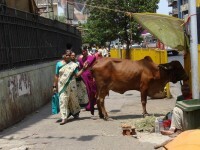 Even today, more non-Muslims eat larger amounts of beef than Muslims, and Christians in India consume very little beef. Culturally, a democratic state is being attempted to be used in order to destroy the food culture, availability of protein, and food choice of the Muslims, Dalits and Christians, as well as all of those who eat beef habitually and want to consume it. In modern democracy, choice is something that’s very important. Ilaiah asserts that the ideas driving the cultural imposition were initially generated from the “later Shaivite tradition with Shankaracharya.” It was in response to the Buddhists practicing beef-eating and particular food restraints. Buddhists were not vegetarians and the vegetarians were Jains. 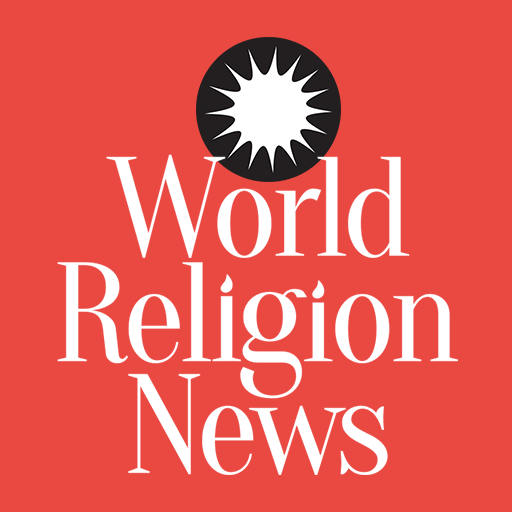 However, to counter the theory that the Buddhists were violent, Shankaracharya began a vegetarian movement among upper castes and Brahmins, which turned south India Brahmins (long before north India Brahmins) into vegetarians. Today, Brahmins in south India, even the ones educated in more modern institution, still remain culturally embedded within their families. Their present outlook operates just as negatively on the concept of food culture as it does on practicing untouchability. The RSS has essentially turned beef into a specific Muslim-Hindu issue. The ban on beef is basically a device being utilized to develop a “monolithic Hindu community.” The RSS adopted cow protection as one of its most principal items on its agenda. The logic behind it is that cows have to be protected because they give milk to the Indians. But India lives more on milk from Buffalos. However, the RSS is not requesting buffalo protection.